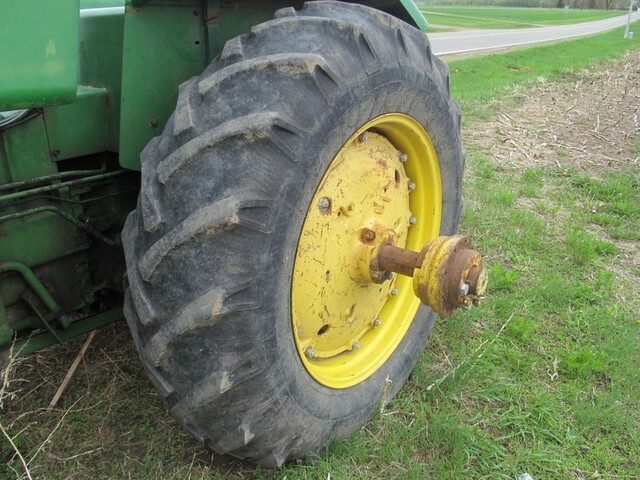 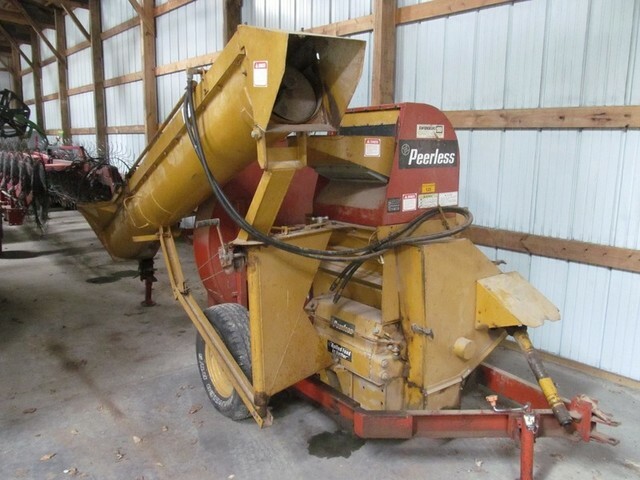 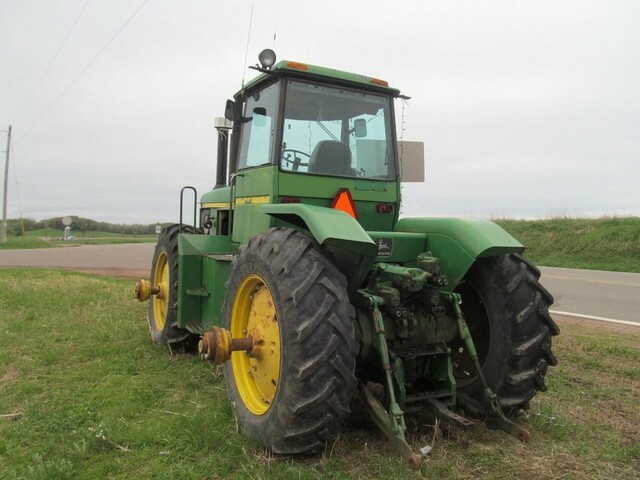 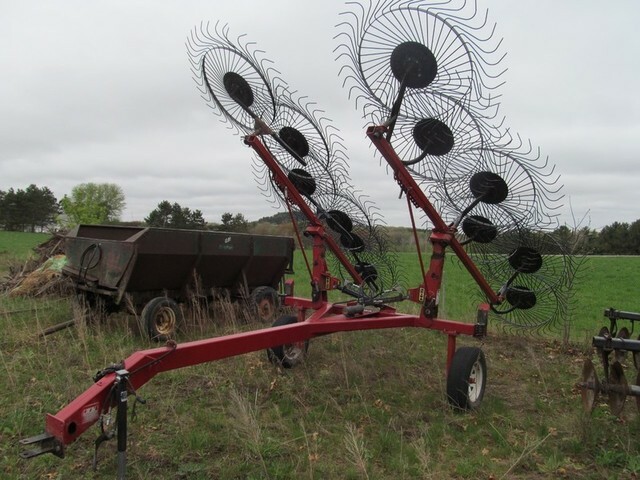 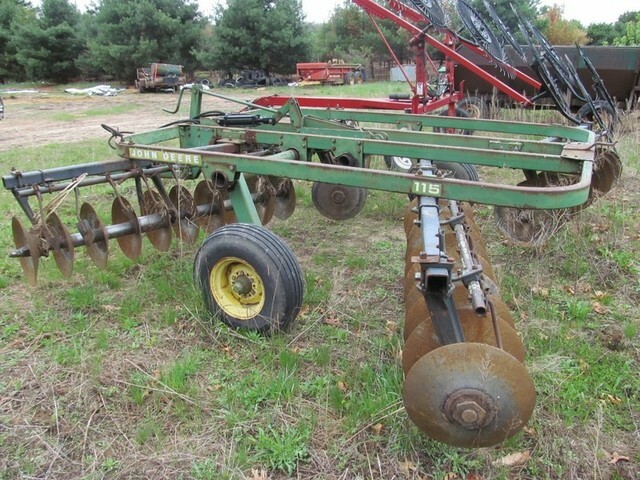 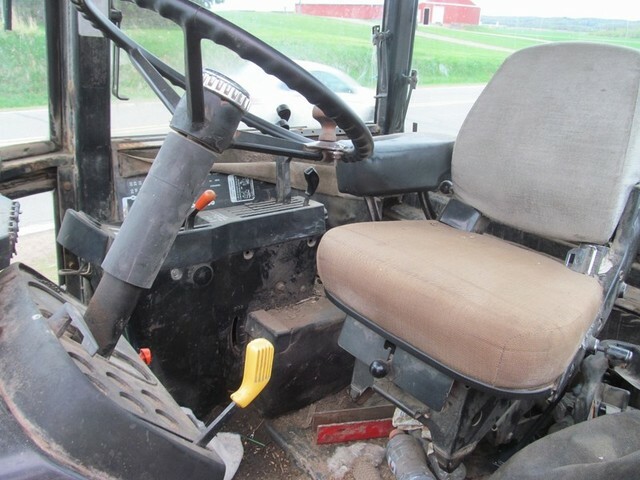 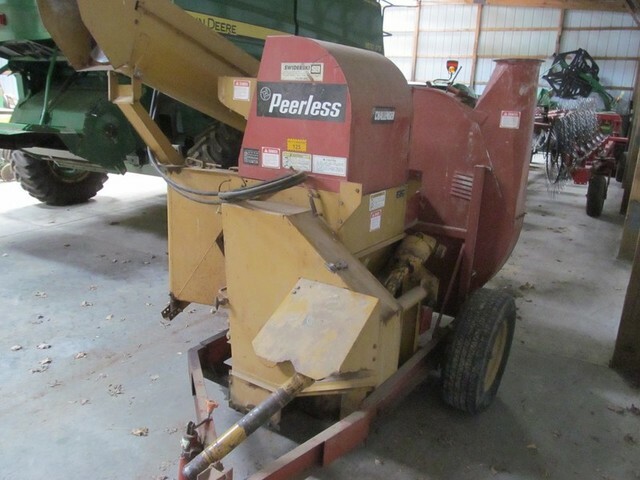 Stensen Farms have discontinued their farming operations and will be offering their entire line of farm equipment at this auction. 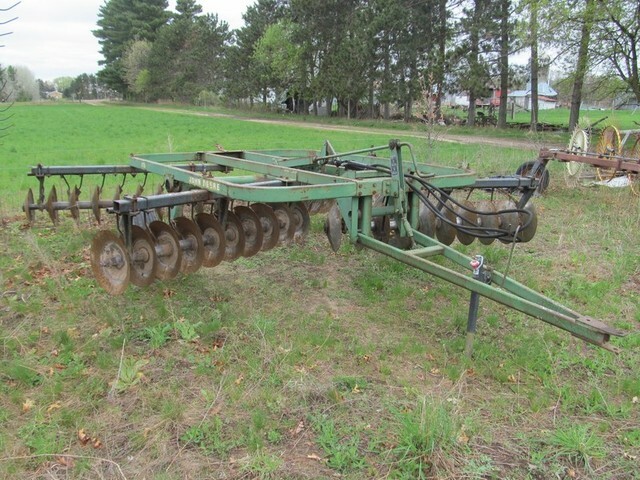 This is a large offering with not many small items. 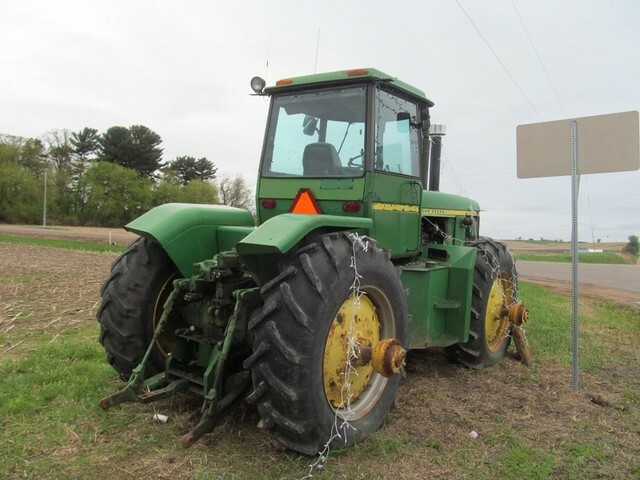 LOCATION: S10787 Russell Road, Augusta, WI which is 1 mile west of Augusta Hwy 12 to Cnty Rd R then west ½ mile to Cnty Rd O/HH then west ¼ mile to Cnty Rd HH then south ½ mile to Russell Rd then south ¼ mile to the auction location. 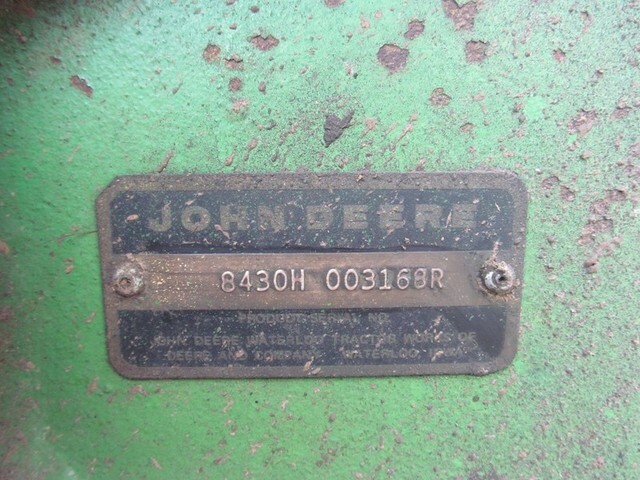 Watch for the ProCountry Auction signs. 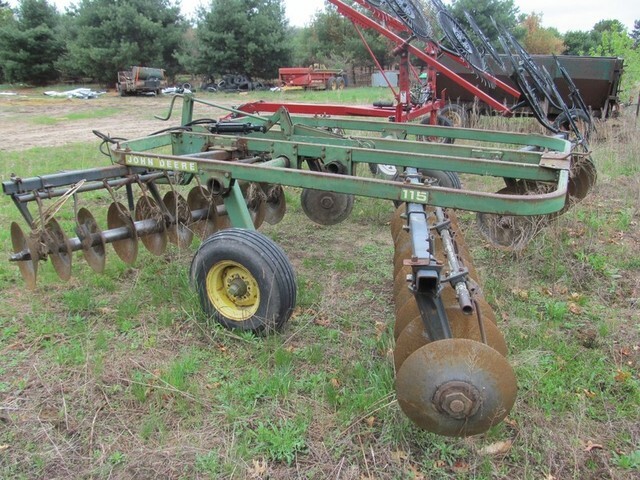 NOTE: Stensen Farms have discontinued their farming operations and will be offering their entire line of farm equipment at this auction. 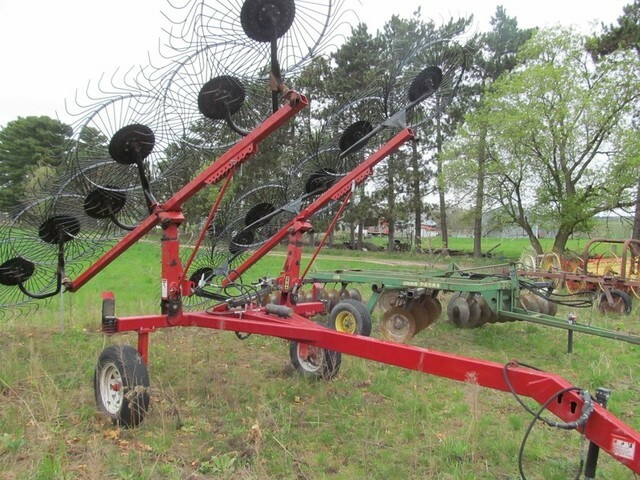 This is a large offering with not many small items. 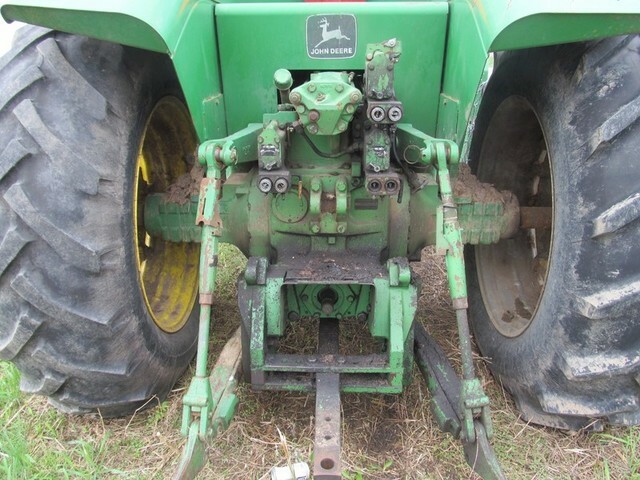 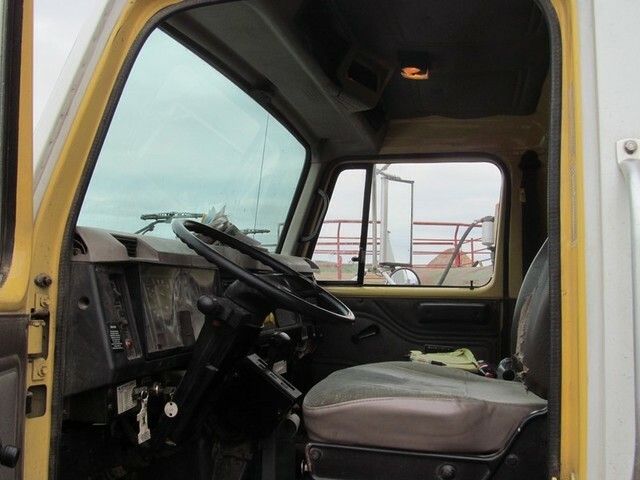 Online bidding for the tractors and main line of farm machinery will be offered through Proxibid. 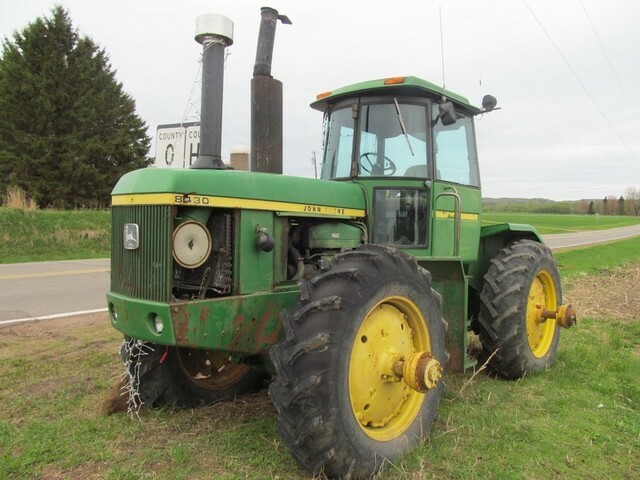 Mark your calendar for this auction! 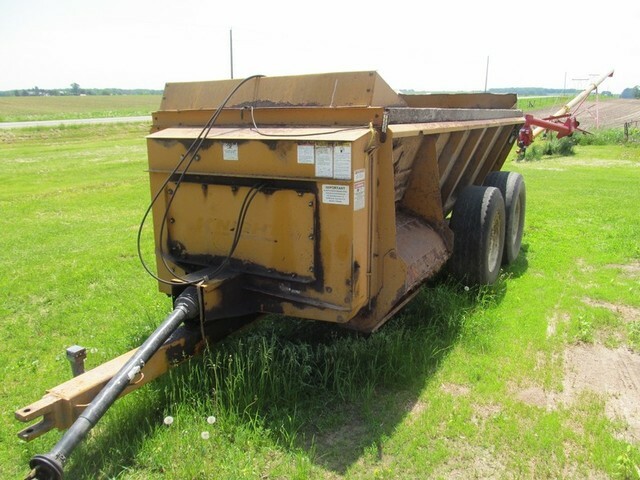 All Items must be removed by July 1, 2018. 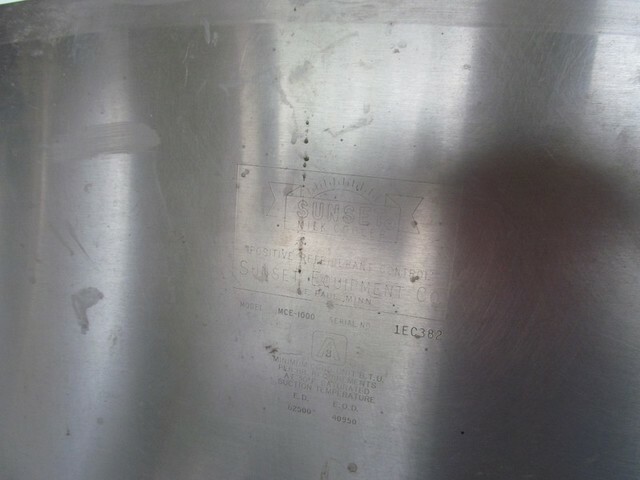 Lucy’s Lunch available. 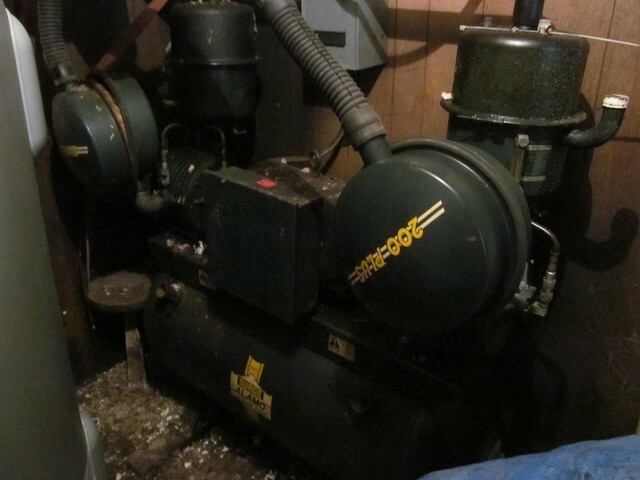 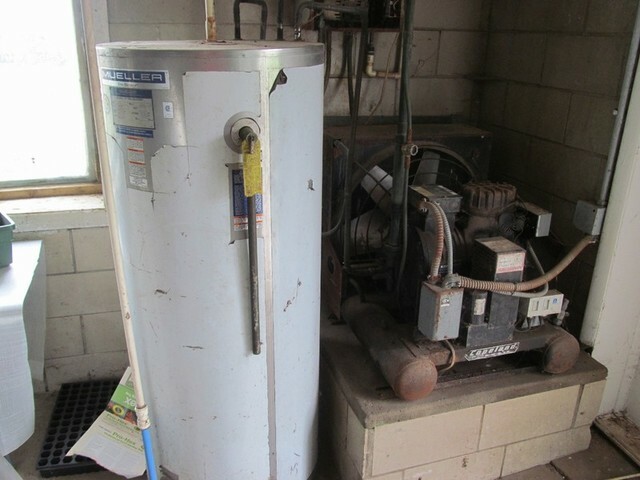 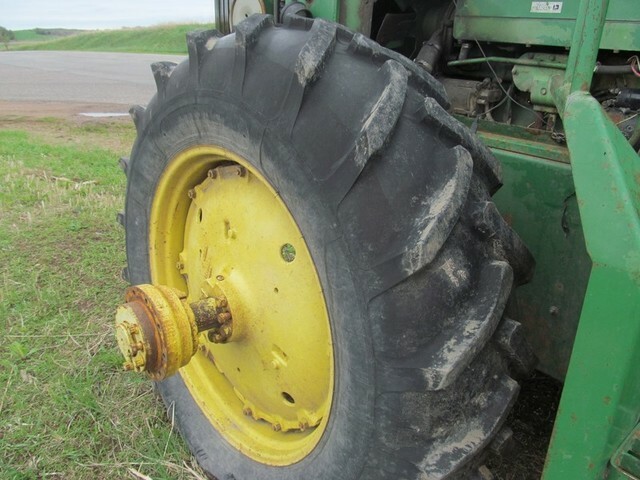 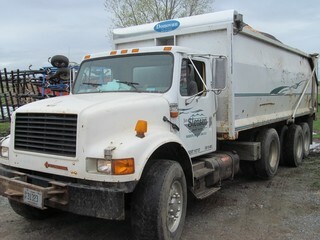 For pictures visit: www.procountryauction.com. 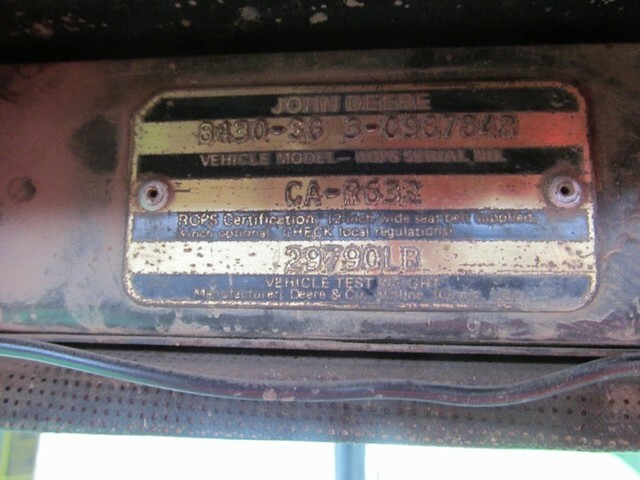 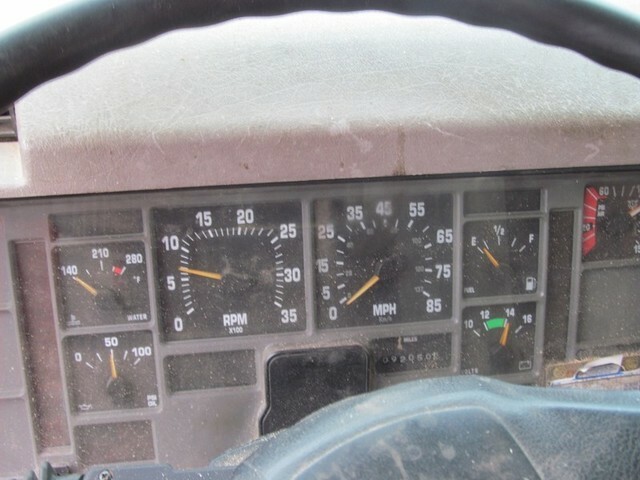 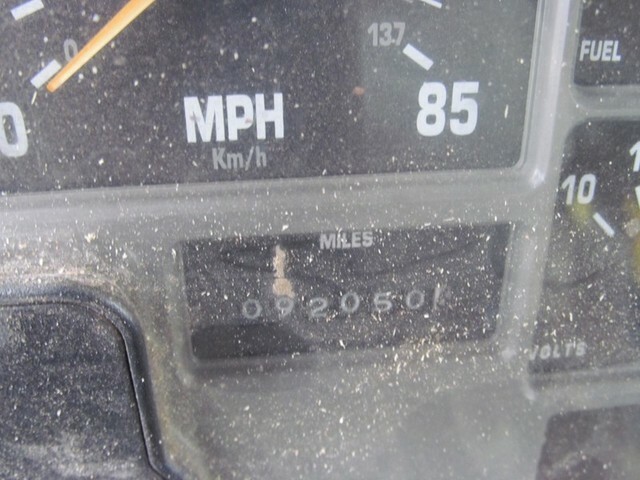 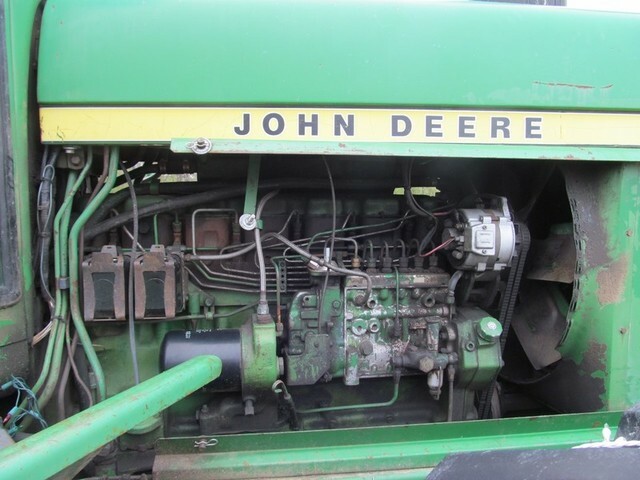 TRACTORS (10): Case IH 2394, Ser # 16241139, Hr Meter Shows: 7,633 Hrs, Cab, 24 Spd Partial Power Shift, 3 Pt, 540/1000 PTO, Diff Lock, 20.8-38, 10 Bolt Hub Dual; Case IH 2394, Ser # 16304932, Hr Meter Shows: 7,683 Hrs (Anti-Freeze in Oil), Cab, 24 Spd Partial Power Shift, 3 Pt, 540/1000 PTO, Front Weights, 18.4-42; Case IH 1896, FWD, Hr Meter Shows 2,262 Hrs (+10,000), 5.9L Engine, Cab, Air/Heat, 12 Spd Power Shift, 540/1000 PTO, Westendorf TA-46 Front Loader, Quick Tach, Bale Spear & Bucket Attachment; International 1066, Ser # U050101, Open Station, WF, 540/1000 PTO, No 3 Pt Arms, 20.8-38; International 806, Ser # 26154, Open Station, Diesel, WF, Fast Hitch, 18.4-38, Tooth Out of Reverse Gear; Ford 7600, Dual Power Load Monitor, Diesel, Cab, 8 Spd, Diff Lock, 3 Hyd Remotes, 18.4-34 Rear Tires (90%), PTO Does Not Work; Ford 7600, Dual Power, Diesel, 18.4-34, No 3 Pt; Ford 8600, Ser # 0252890, Hour Meter Shows: 6,893 Hrs, Diesel, Open Station, Hi-Low Trans, WF, 3 Pt, 18.4-38; John Deere 8430, Quad Range, PTO, 3 Pt, 3 Remotes, Duals, Engine Knock; Duetz DX 130, Ser # 76350125, Powermatic, FWD, Hr Meter Shows: 6,194 Hrs, 3 Pt, Trans Problems, Needs FWD Drive Shaft. 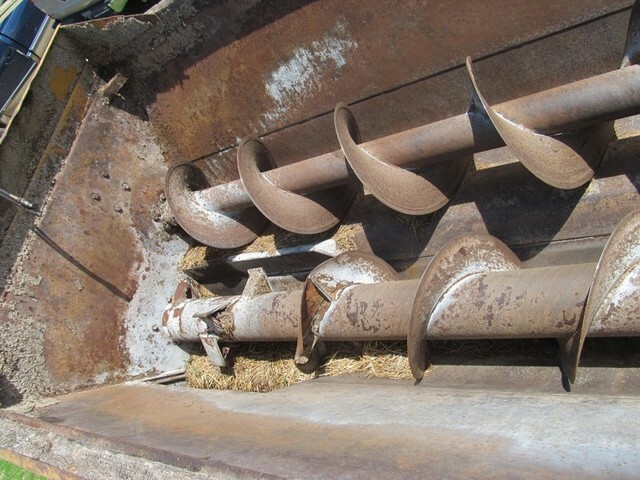 COMBINE HEADS: Case IH 1020 Bean Head, 20 Ft; IH Belt Pick Up Head. 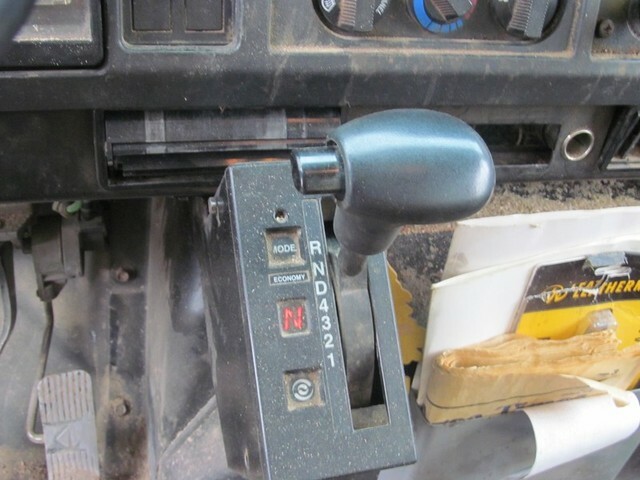 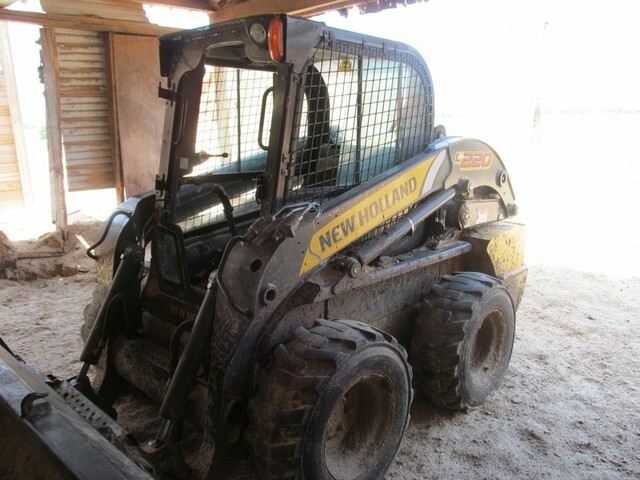 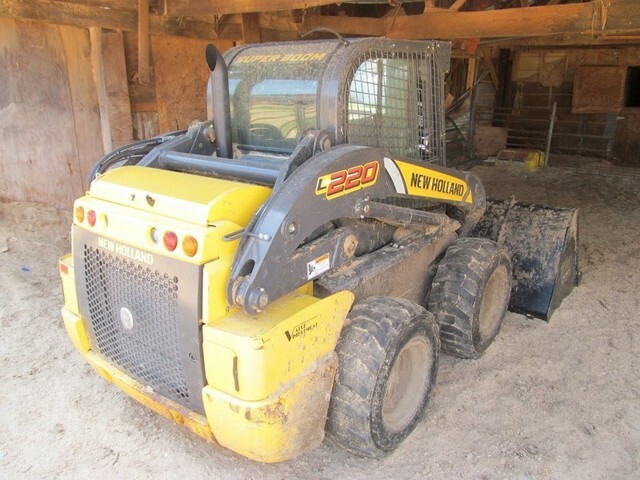 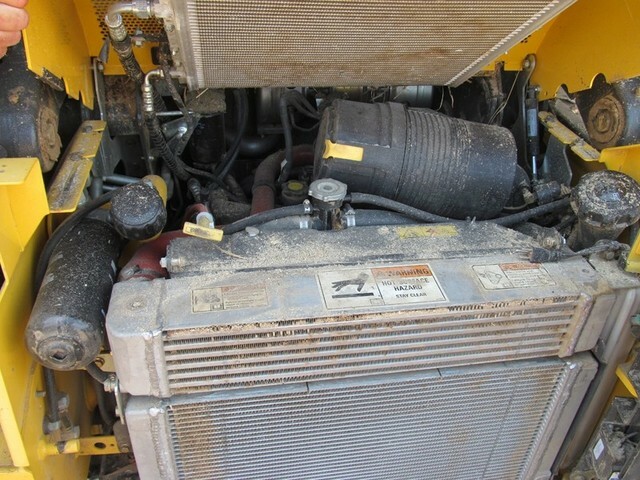 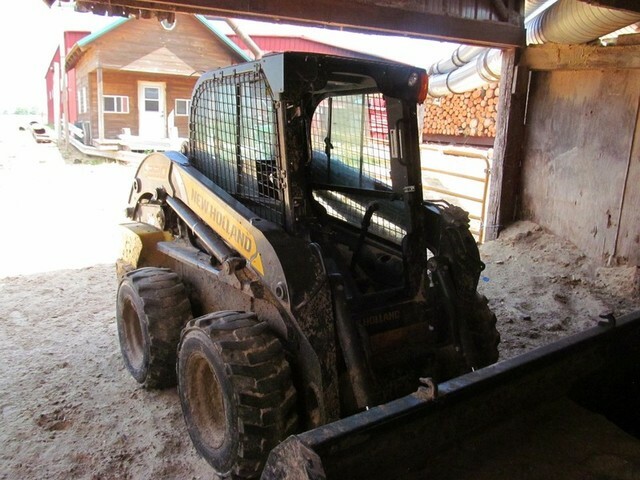 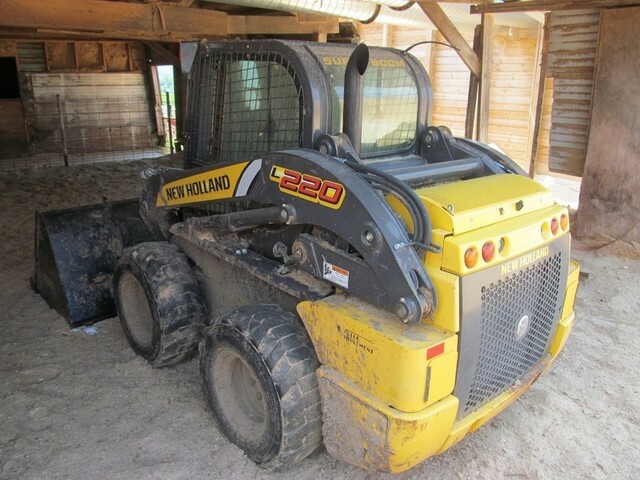 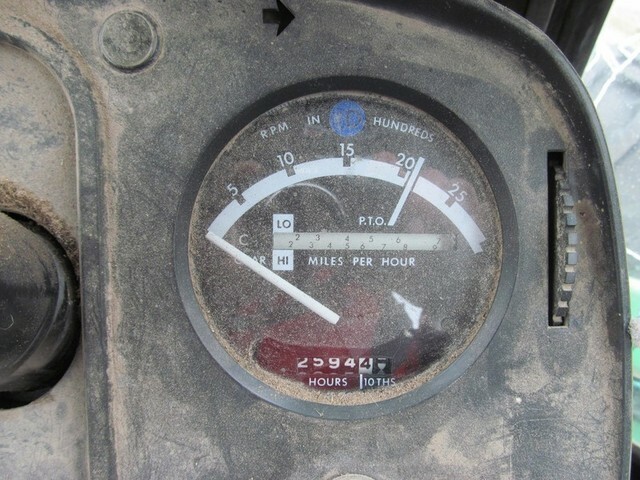 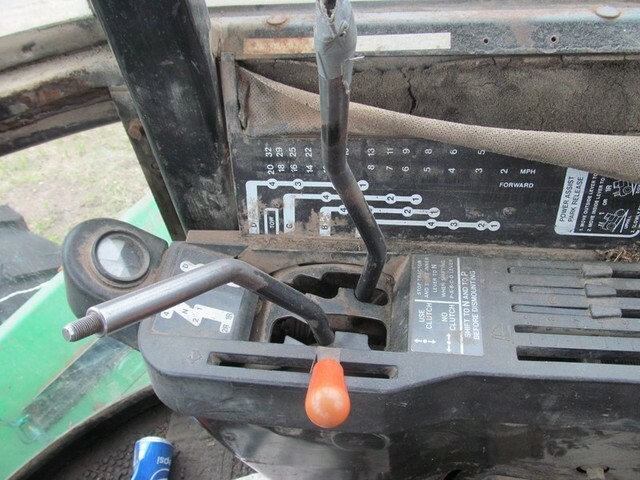 SKID STEERS & ATTACHMENTS: New Holland L 220, Hour Meter Shows: 2,500 Hrs, Hyd Quick Tach, Cab, Heat; New Holland LS 170, Hour Meter Show 4,700 Hrs, Hyd Quick Tach, Cab, Heat; Bobcat 15C Hyd Post Hole Digger w/ 18” Bit; Material Buckets; 3 Spear Bale Spear. 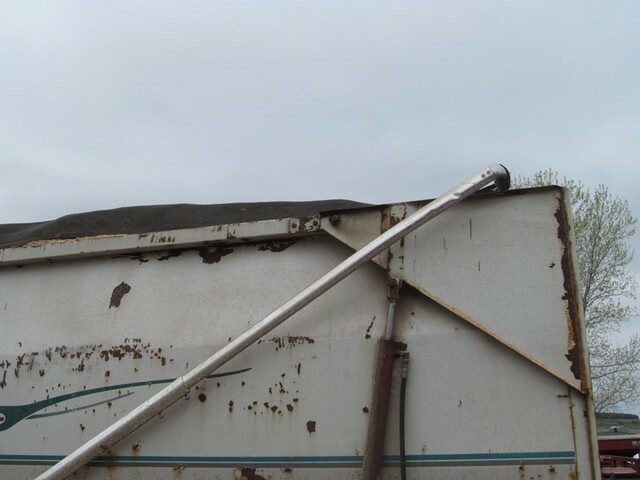 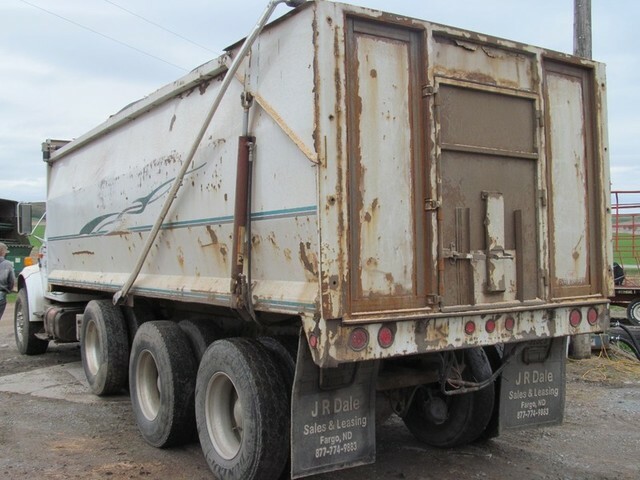 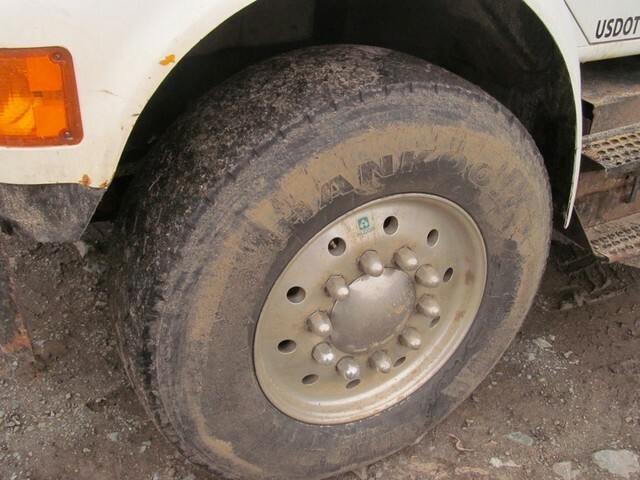 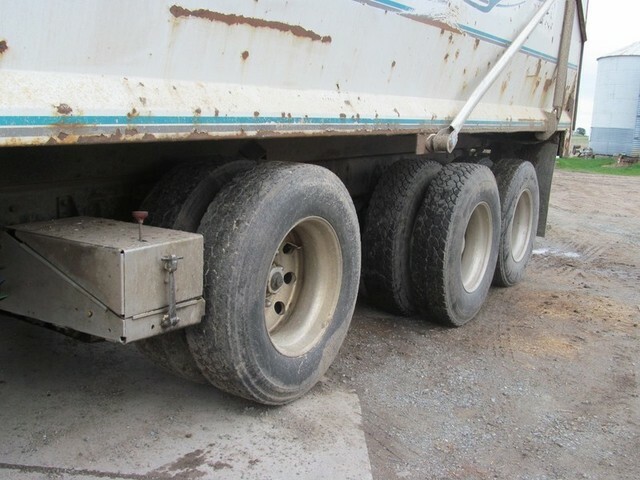 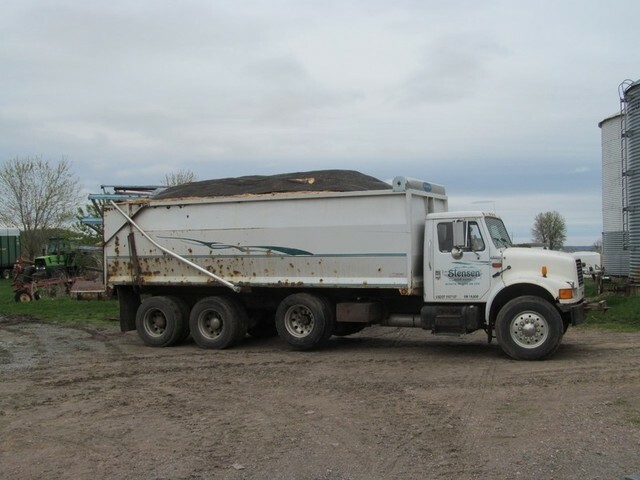 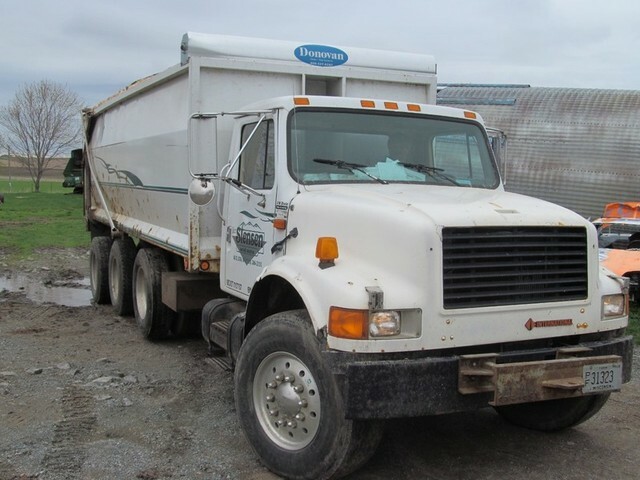 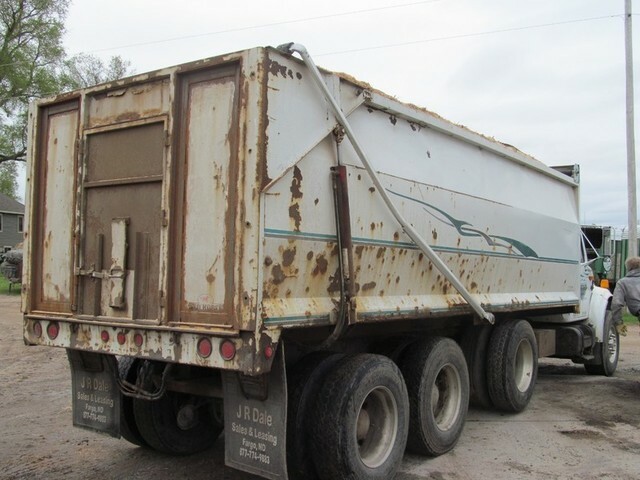 GRAIN TRUCK & TRAILERS: 1999 IH 4700 Tandem Axle w/ Tag Silage Truck, Auto Trans (Fresh Rebuilt Trans), Air Brakes, 21 Ft Dump Box, Hyd End Gate, Box Extensions; Keifer Built 18 Ft Steel 5th Wheel Stock Trailer; 16 Ft Tandem Axle Skid Steer Trailer w/ Ramps. 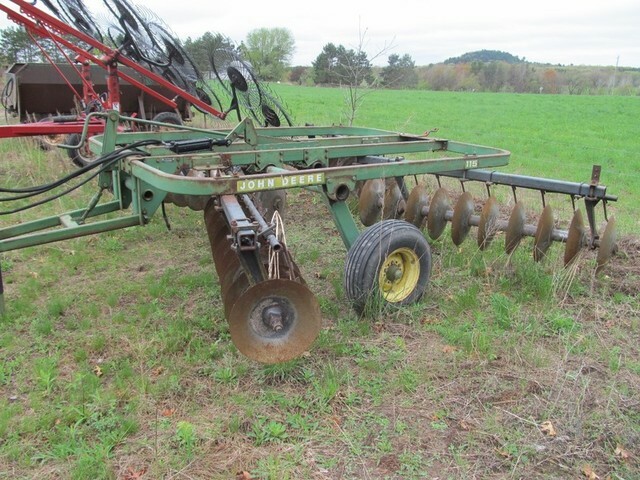 FORAGE EQUIPMENT: Gehl 1085 Forage Chopper, Walking Tandem, Small 1000, Elect Controls, Elect Clutch, 9 Ft Hay Pick Up, Gehl 3038 Adj 2 Row Corn Head; Hesston 7150 Forage Chopper, 1000 PTO, 2 Row Corn Head, Hesston 1345 Discbine, Drawbar Hitch, Steel on Rubber Conditioners; John Deere 535 Round Baler, Twine Only; Case 8460 Round Baler, Twine Only; John Deere 346 Sqr Baler w/ Thrower; Pequea HR1140 Haymaker Rotary Rake; Miller Pro 1150 Rotary Rake, 540 PTO; Star 340 Rotary Rake, 540 PTO; H&S 12 Wheel Bi-Fold Rake, Hyd Fold; H&S HM2000 Merger w/ Poly Pick Up Teeth; H&S 12 Wheel V Rake; MC Rotary Scythe; NH 16 Ft Forage Box on Tandem Gear; Badger 18 Ft Chopper Box on Tandem Gear; (7) Badger 16 Ft Forage Box on Tandem Gear (Models 950 & 1050); Badger 16 Ft Forage Box on Tandem Gear (Full of Sawdust); (2) Case IH 600 Silo Blowers; MC 180 SB 15 Ft Stalk Chopper; (2) 9×16 Steel Kicker Wagon w/ Steel Stringers; Hayrite 52 Ft Hay Conveyor on Transport, Elect Motor. 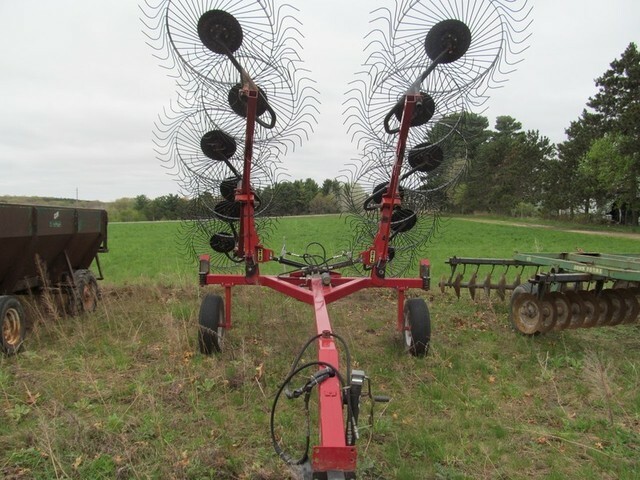 TILLAGE & PLANTING: Kinze 2600 12 RN Corn Planter w/ 11 Row Interplant, Liquid Fert, KPM II Monitor, No-Till Trash Whippers; Great Plains Solid Stand 13 Grain Drill, Grass Seed, Press Wheels, 13 Ft; DMI Tiger Mate II 26 Ft Field Finisher w/ Spike Harrow (Nice); MF 820 Folding Disk, 20 Ft, Rippled Front Disks; IH 60 Conserv Till 10 Shank 10 Ft Disk Chisel w/ Buster Bar; Vicon 15 Ft Power Harrow, PTO Drive; IH 710 5 Bottom Semi Mounted Plow; JD 115 15 Ft Double Disk. 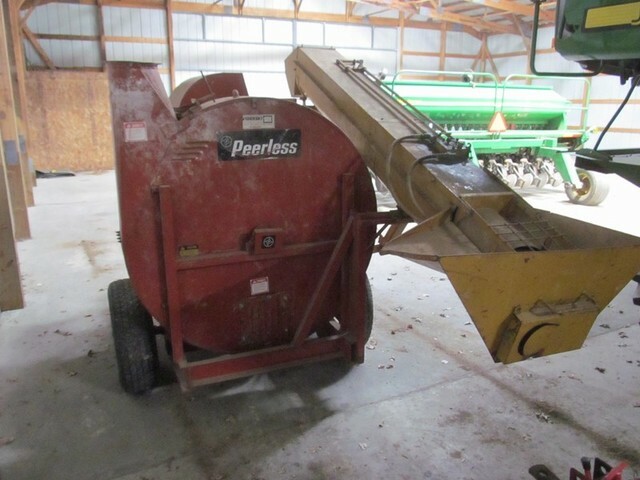 GRAIN EQUIPMENT: Westfield MK 80-61 Auger on Transport, Swing Hopper, PTO Drive; Feterl 10”x72’ Auger on Transport, Swing Hopper, Hyd Winch, PTO Drive; M&W 14 Ft Gravity Box w/ 2 Doors on Heavy Wagon; Killbros Gravity Box w/ Extensions (No Wagon); Killbros 350 Gravity Box on Wagon; Gravity Box on Knowles Wagon w/ Killbros Hyd Auger; Peerless Roller Mill/Blower; 6” Grain Auger on Transport; Killbros Gravity Box w/ Extension on Kewaunee 47 Wagon; Feterl 8” Hyd Drive Hopper Auger; 4”x20’ Grain Auger; (2) 5000 Bu Bins on Stands w/ Base (Damaged); 20 Ton Feed Bin w/ Flex Auger; 10 Ton Feed Bin w/ Auger; 8 Ton Feed Bin w/ Flex Auger; 6 Ton Feed Bin w/ Auger; 10”x14” Grain Leg; Drive Over Hopper Dump Pit. 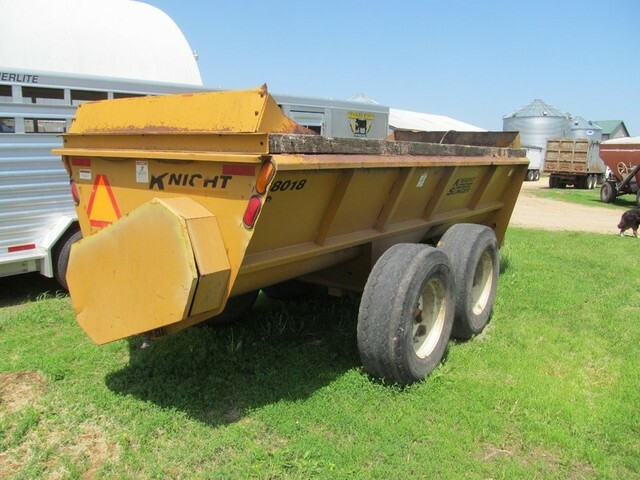 OTHER EQUIP: Knight Pro Twin 8024 Slinger Spreader; Knight 8018 Side Slinger Spreader; N-Tech 3350 Gallon Liquid Spreader w/ Steerable Axle; Knight 3142 Reel Auggie TMR Mixer, LH Discharge, Scale Head; Knight 3300 Reel Auggie TMR Mixer, Scale Head (Needs Repair); Knight 180 Spreader w/ Hyd End Gate; Westendorf WL 42 Tractor Loader w/ Grapple Bucket; Ferguson 3 Pt Ditch Digger, PTO Drive; 17 Ft Wood Flatbed Wagon on Tandem Gear; 6 Bale Tricycle Round Bale Wagon; 3 Pt Trailer Mover; Generac 40 KW PTO Generator on Cart; 3 Pt Gopher Getter Attachment; 18.4-38 & 20.8-38 Clamp On & Hub Duals; 10 Bolt 3 ¾” Dual Hubs. 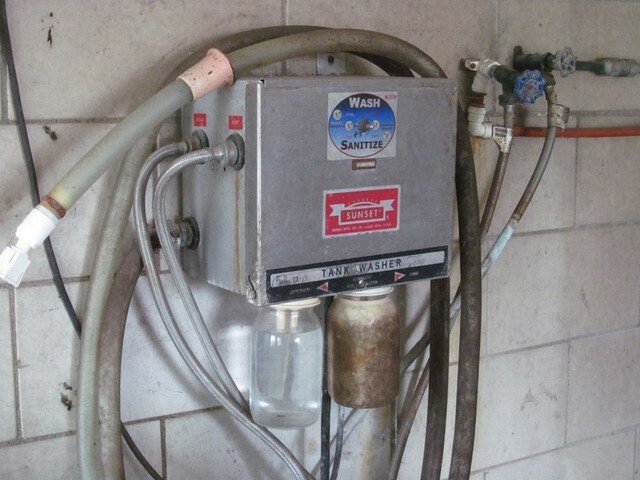 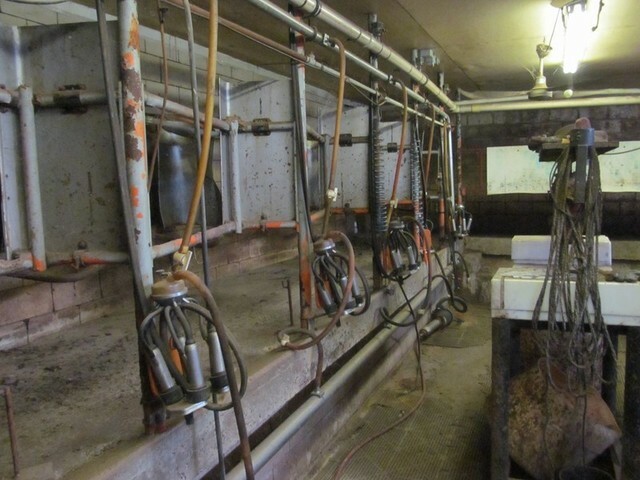 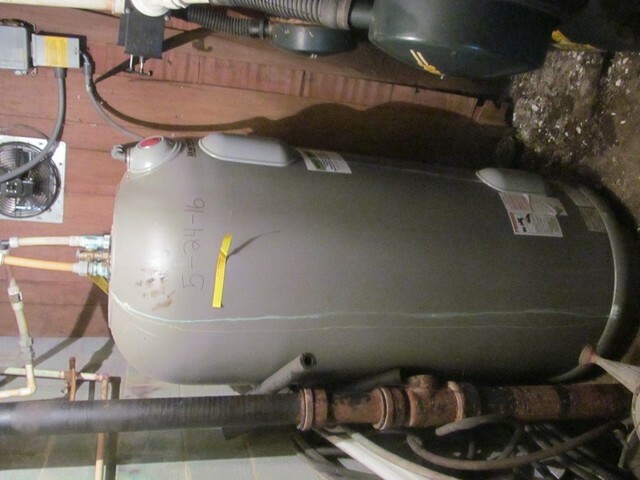 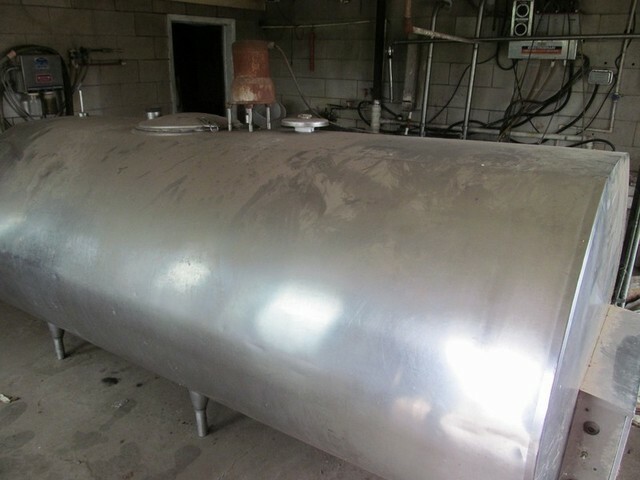 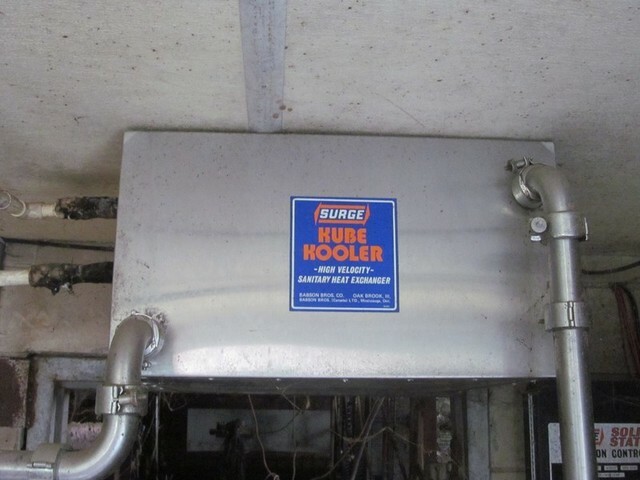 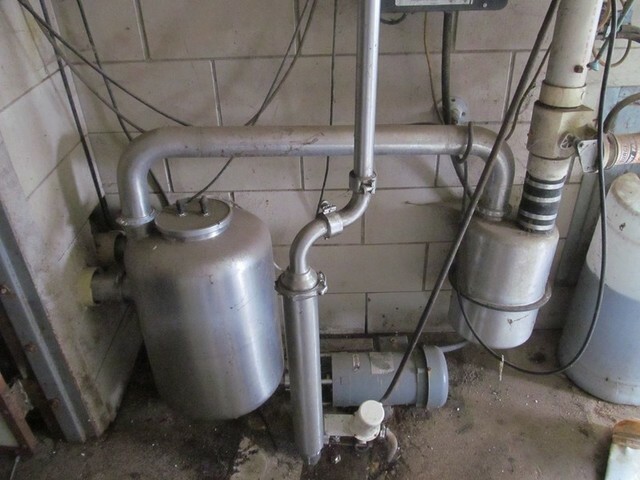 DAIRY & LIVESTOCK EQUIPMENT: Sunset 1000 Gallon Stainless Steel Bulk Tank w/ Compressor, Ser # 1EC382, Tank Washer; Surge Kube Cooler High Velocity Heat Exchanger; Surge Alamo 200Vacuum Pump; Mueller D-80 Fre-Heater; 10 Unit Milking Parlor Pipeline w/ 2” Top & 3” Bottom Pipe, Washer, Collection Jar, Transfer Pump; 10 De Laval Milking Units; Hi Pressure Elect Water Booster Pump; Marathon 80 Gallon Hot Water Heater (New 2016); Loyal 36” Barn Fan; 48” Barn Fan; (2) 30” Hanging Fans; (3) Portable Gate Posts w/ Concrete Bottoms; Cow Sling; Freeze Branding Iron Set; (4) Calf Hutches; (3) Stainless Steel Bulk Tanks Used For Water Tanks; Badger Barn Cleaner Hd (Counter Clockwise) w/ Approx. 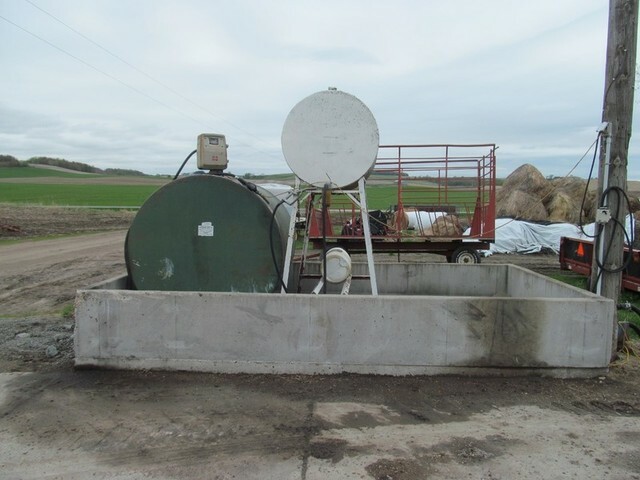 120 Ft of 13” Chain; 8×16 Portable Calving Shed w/ Creep Gates; Way Pig 300 Market Hog Scale (Like New); Elect Calf Warmer; (10) Calf Blankets; (3) Calf Hutches, Calf/Hog Box. 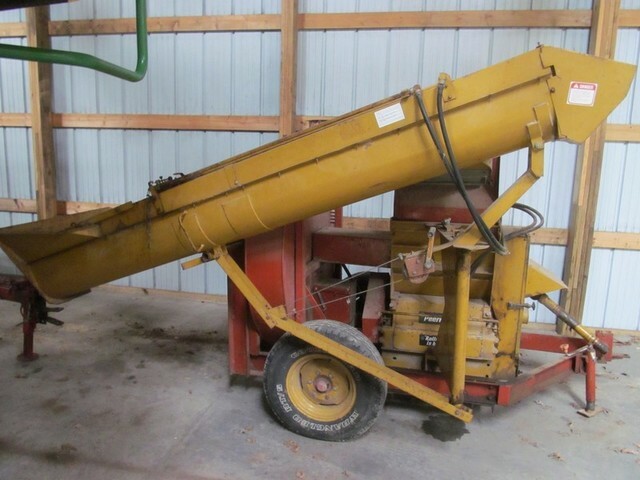 FEEDING EQUIPMENT: Loyal 9”x40’ Feed Conveyor w/ Incline, Poly Bottom, Elect Motor; Loyal 11”x24’ Feed Conveyor, Poly Bottom, Elect Motor; Agri Val DC Atlas 36” Hammer Mill; 5’x5’ Steel Feed Collection Funel w/ 6” Auger; (10) Concrete H Bunks; (2) Apache Trailer Creep Feeders; Badger 18 Ft Ring Drive Silo Unloader w/ Winch; (2) 20 Ft Badger Ring Drive Silo Unloader w/ Winch; 14 Ft Patz Ring Drive Silo Unloader; 41” Stainless Steel Pig Feeder (Like New); Easy Way Mineral Feeder. 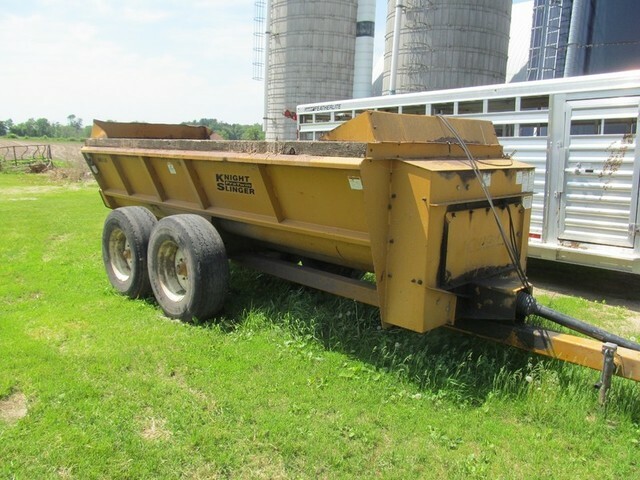 FEED WAGONS: Note: All Feed Wagons Are Homemade, Heavy Duty & Poly Lined. 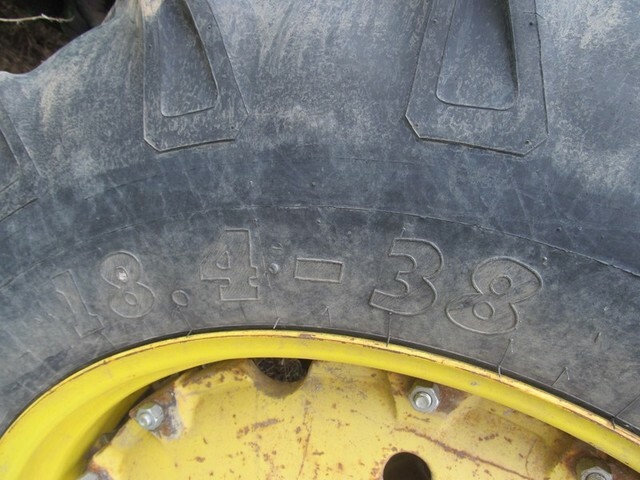 24 Ft Tricycle w/ No Sides, (2) 16 Ft Tricycle, 8×24 Tricycle, (2) 7×24 Tricycle.